Academically, the university follows the semester system, with provision for summer courses. The university conducts two types of programmes: first, long-term programmes which lead to diploma, postgraduate diploma, graduation, post-graduation and research degrees; second, short-term programmes such as orientation/refresher courses and short term certificate courses. While long term programmes are designed to prepare specialists in the corresponding subject areas, short-term programmes are focused towards enhancing and orienting the capacity of community members such as teachers and other citizens holding responsible positions in the society by exposing them to ideas outside of standard educational curricula, such as contemporary ideas in emerging areas. Though such short-term in-service programmes and certificate courses do not usually come under the purview of universities, RKMVERI strives to integrate them into the university system by offering credits which can be accumulated over a period of time and potentially transferred to long-term programmes. The university offers courses (subjects) that are accounted for in degree programmes through a credit accumulation system. The offered courses are categorized into core courses, practical oriented courses, stand-alone independent courses, etc., and the award of credit-hours for theory and practical courses are decided by the academic council and the boards of studies. 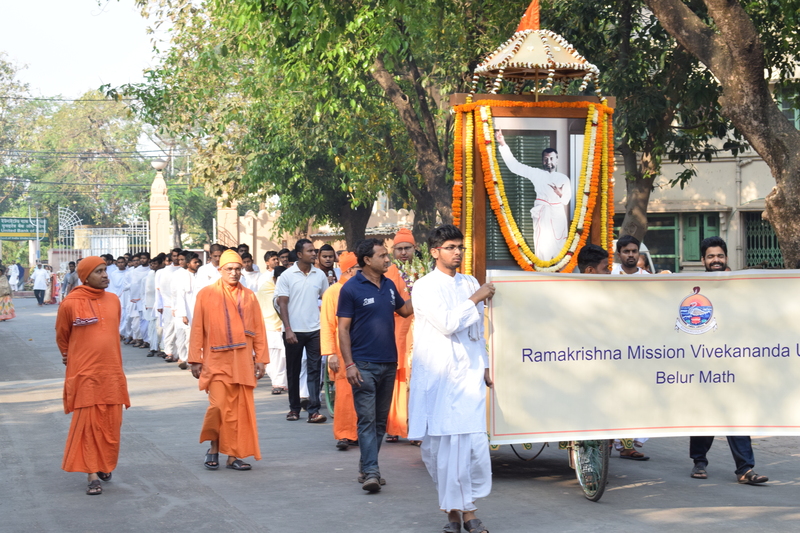 Notably, the Ramakrishna Mission has been working for decades on end in most of the above areas, thereby developing the necessary theoretical and practical expertise to run courses in these specialized areas. Consequently, some of the branch-centres of the Mission that have been working for several decades in some of these thrust areas have given rise to off-campus specialized faculty centres of RKMVERI. Many of the programmes in these areas are designed to directly address the needs of the marginalized, downtrodden and the underprivileged sections of the society and the rural masses of India. Also, some of the thrust areas are chosen to help expose and sensitize the youth to the glorious heritage of India while at the same time training them in scientific temper and modern ways of thought. With pride in India’s rich past heritage and trained at the same time in modern scientific thought, our youth should begin to investigate why our country as a whole is unable to attain to and retain the zenith of excellence in the arts and sciences and various other fields of knowledge that it had reached in the past, and how it can regain its past glory. Our youth should be fired with the zeal for India’s rejuvenation in all spheres of human excellence. This should be a profound concern that should grip them. Education should kindle in their souls great sympathy for their poor, underprivileged brethren. Swami Vivekananda went so far as to call every educated person a traitor, who, having been educated at the expense of the poor masses, does not pay the least heed to them. It is with a view to inculcating in our educated youth the feeling of indebtedness for the masses and the poor that the university bearing Swamiji’s hallowed name has chosen the areas mentioned above as its thrust areas.